È facile riconoscere quando un fenicottero in Valle Baiona è “comacchiese”, è cioè nato nella Salina di Comacchio (sito dell’unica e grande colonia di fenicotteri del delta del Po). Molti degli individui nati a Comacchio, infatti, vengono “marcati” con un anello colorato in PVC di colore blu, con una sigla identificativa in lettere bianche. Grazie a questi anelli è possibile monitorare gli spostamenti di questi graziosi pennuti, un tempo associati per lo più alla Camargue, ma ora diventati ben stabili anche nel Delta del Po. 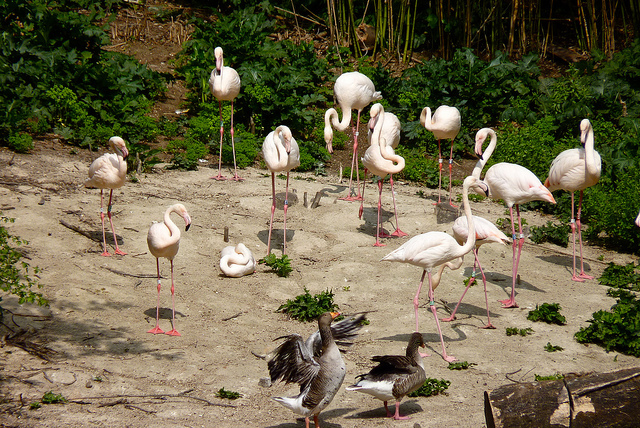 This entry was posted in avifauna del Delta and tagged fenicotteri, Phoenicopterus, Valle di Comacchio. Bookmark the permalink. Needed to draft you this tiny remark so as to give thanks once again for your personal beautiful pointers you have provided here. This has been really surprisingly open-handed with you giving without restraint all a number of us would have offered for sale for an electronic book to help with making some profit for themselves, particularly seeing that you could possibly have done it in the event you considered necessary. These tricks likewise served to provide a great way to recognize that other people online have the identical interest the same as my personal own to understand way more in respect of this issue. I think there are numerous more fun occasions in the future for those who discover your website. A great share, I just given this onto a university student who was doing a little research on this. And he in fact purchased me breakfast because I found it for him. :).. So let me reword that: Thank you for the treat! But yeah Thankx for taking the time to talk about this, I feel strongly about it and enjoy learning more on this topic. If possible, as you gain expertise, would you mind updating your blog with more details? It is highly helpful for me. Two thumb up for this article! I do consider all of the concepts you’ve offered in your post. They’re really convincing and can definitely work. Still, the posts are very short for starters. May just you please lengthen them a little from next time? Thanks for the post. Excellent article. I was checking constantly to this weblog and I am really impressed! Extremely educational information, especially the last few section. I really need such information. I used to be seeking this kind of information for a while. Thank you & best of luck. I am not rattling excellent with English but I get hold this rattling leisurely to read. Very interesting points you have observed , appreciate it for putting up. “The only thing worse than a man you can’t control is a man you can.” by Margo Kaufman.